Synchronized swimming not your cup of tea? Beijing has a smorgasbord of cultural offerings ranging from cutting edge contemporary art to decadent imperial treasures. Tony Chen is a fantastic guide and can arrange for everything from highly customized tours to a top-notch driver (ask for William). 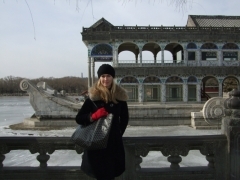 A few hours spent exploring the Forbidden City is absolutely de rigueur, if only to marvel at the sheer size of the classical-style structures and courtyards. 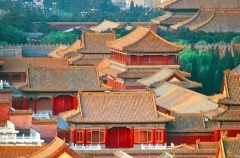 Completed in 1420 and home to over twenty-four emperors, the Forbidden City is the historical and physical heart of Beijing. Don’t miss the fascinating imperial collection of clocks and watches featuring over two hundred mostly European timepieces, gifts to the emperors from foreign diplomats, featuring hot air balloons, coquettish monkeys, steamships and delicate automatons frantically writing out Chinese characters while dressed in European style clothes. A fascinating and somewhat surreal venture into East meets West decorative arts politics of the 18th century. The Summer Palace used to function as the bucolic summer retreat of the royal court from the suffocating heat of the Forbidden City. Today it is a picturesque meeting ground for Beijingers of all ages and a wonderful spot to observe morning T’ai Chi exercises or older generations gathering to sing nostalgic songs from the Mao era. The Summer Palace grounds are an artful microcosm of nature, balancing water (shui) and hill (shan) elements with painterly temples, bridges, pavilions and walkways. 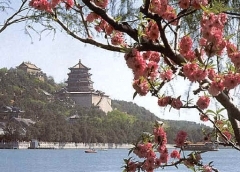 The powerful Empress Cixi is closely associated with the Summer Palace and it is rumored that she diverted funds intended for the royal navy in order to construct her famous marble boat on Kunming Lake. For your contemporary art fix, the Bauhaus style 798 Art District, part of the larger Da Shan Zi Art District, is a one-stop shop for art enthusiasts including galleries, artist studios and project spaces. The 798 District was formerly a high tech center that manufactured China’s first bombs and satellites. The lingering Maoist graffiti on the rambling grey structures brings new meaning to the term industrial chic. The pedagogically oriented Ullens Centre for Contemporary Art (UCCA), a non-profit museum space, features a rotating schedule of Chinese and international contemporary art exhibitions as well as artist led projects and the first contemporary art research library in mainland China. Galleries worth popping into include Galleria Continua Beijing, 798 Photo Gallery and White Space. For a glimpse of the art scene hipsters, head to the smoky and cooler than thou TimeZone 8 Editions, a great place to browse the latest hard to find art titles. 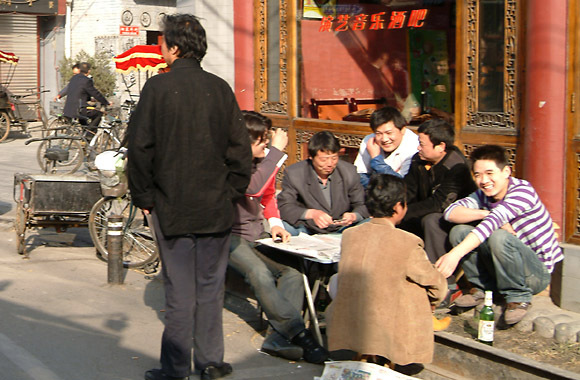 For a taste of everyday old world Beijing charm, head to one of the many hutong districts, enchanting centuries-old courtyard houses (siheyuan) and alleys. These disappearing neighborhoods can be found throughout central Beijing and are good examples of traditional Chinese post and beam construction, complete with ornamental archways and east to west orientation. Exploring the hutongs is a glimpse into an alternate world in stark contrast with the throbbing urban sprawl lurking just outside the gates. Laundry hangs above the alleys, bikers and rickshaws speed by, old ladies gather in noisy clusters to gossip, yet, despite all of the chaos and everyday banality of the activities, the hutongs are brimming with an invigorating sense of community and good humor. 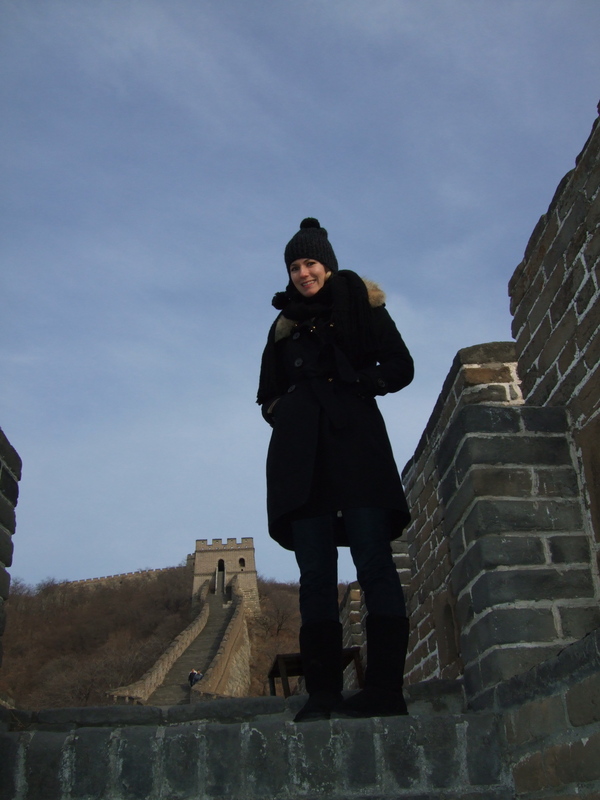 Finally, what would a trip to China be without seeing the Great Wall? Avoid the crowds at the Badaling site by heading just a little bit farther to Mutianyu where a steep path or cable car brings you to the majestic watchtowers and endless walkways. Use jet lag in your favor and arrive first thing in the morning in order to enjoy the challenging hike followed by rewarding panoramic views, in peace and quiet.